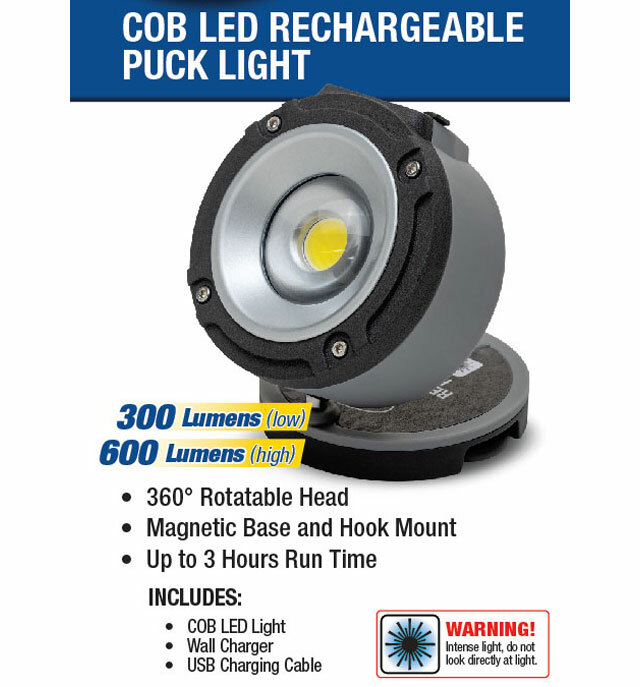 The Eastwood COB LED Rechargeable Puck Light utilizes the latest COB LED Technology to achieve the brightest 600 lumen light output and most energy efficiency possible. The Hi-low feature allows a lower light output setting to provide only the light needed, extending battery power. A lightweight aluminum and polymer housing, with shock resistant protection, provides tactical level reliability. The convenient attaching mount design allows for maximum flexibility and the USB cable allows connection to any USB device.